Margo's mother had a stroke in August of 2017 and is both bed ridden and in an assisted care facility. While those places do the best they can, and this facility is better than most, the surroundings are still a bit spartan, and plain. 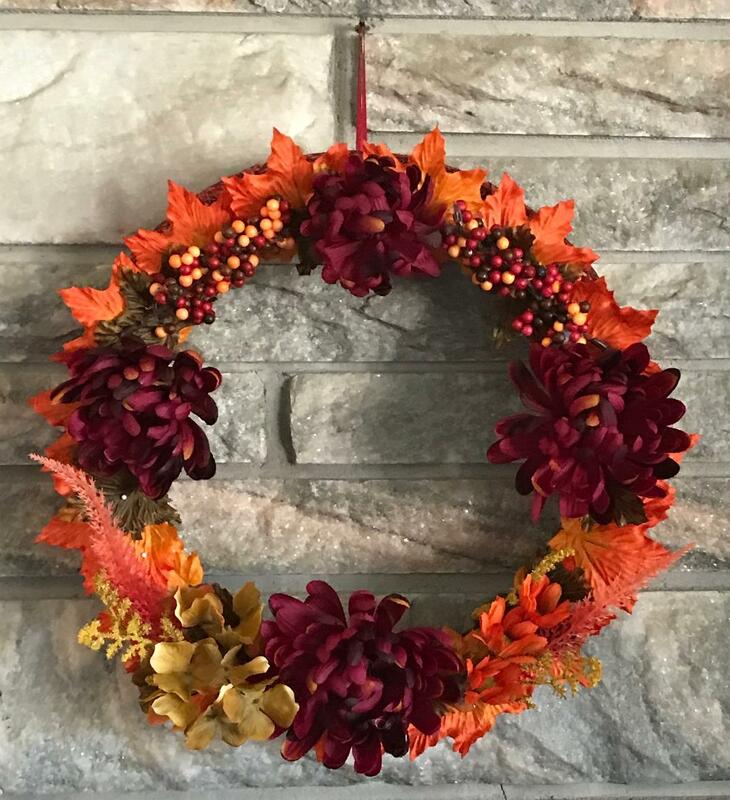 Margo tries to decorate for the season and for the Fall of 2018 she created this colorful wreath. I think she nailed the colors!